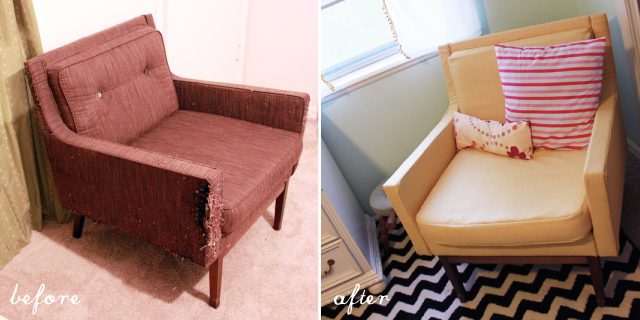 In case you forgot, I purchased a lovely lined but poorly abused chair off of craigslist to upholster for the girl's room. 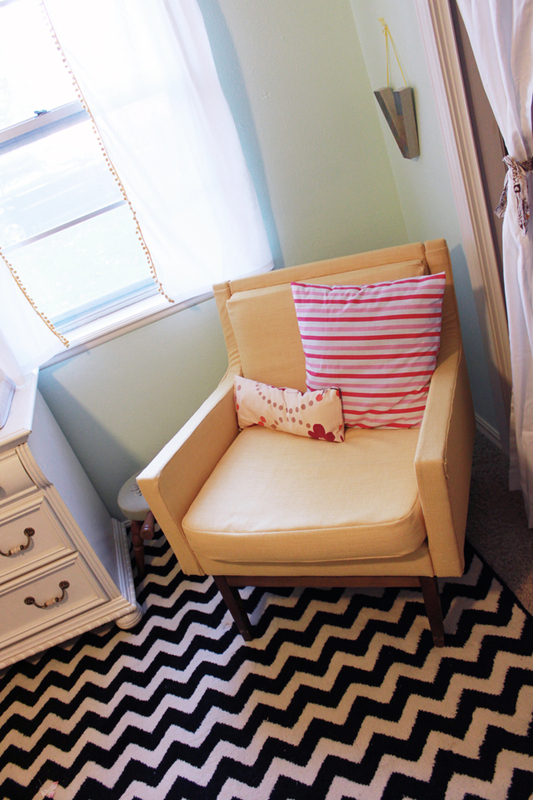 I chose a cheery lemon yellow fabric to stand out against the pale mint walls and chevron rug. The chair is quite comfy, and Violet and I have already been reading books in it nightly :) The hardest part of the project was the removal of the old fabric. But after my husband stepped in to assist in the removal of said fabric, the project went rather quickly! 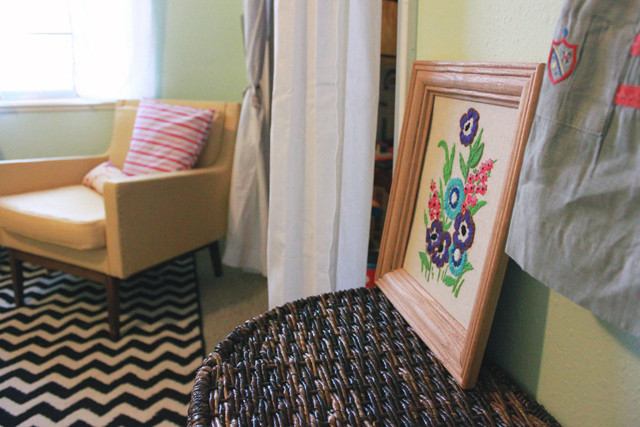 Love my staple gun and upholstery nails! What do you think? 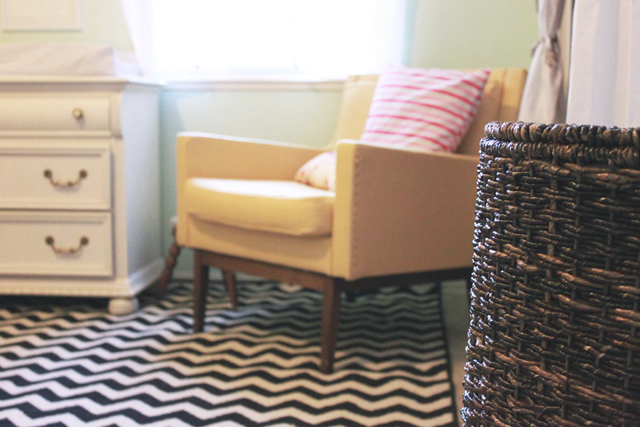 A full nursery tour is literally days away :) I am pumped to share with you every little special moment in the room.